SERVING MONTGOMERY CO., MD, LOCATED IN SILVER SPRING, MARYLAND. Anything you can think of - we can print it for you. When you're looking for quality printing for brochures, business cards, letterhead, forms, or invitations of all types we can provide everything you need from design to the finished product. We offer binding and mailing for all your marketing ideas. We will work with you to be your partner in developing the quality image you want and to promote your business and services in all types of print formats. Call us for a free estimate today! We've added a new Heidelberg Press for printing full four color. Whether you need one copy or tens of thousands, we can handle all your printing requirements. Color enhances any printed material. Let us help you improve your advertising brochures, sales literature and postcards. Let us be your one-stop shop for all of your printing: forms, manuals, presentation folders, etc. Digital Output- Customer provides artwork on disk and we print it out to either our color copier or our B&W copiers. High Speed Copies- With our current capabilities we can produce 245 B&W copies/minute and 48 color copies/minute, 220BW and 24 color, from customer provided hard copies. Engineering Copies- Copies larger than 11x17. Usually 24x36 or 36x42. Graphic Design- We can create customized logos, setup envelopes, business cards, brochures, and anything else that can be put onto paper. "If you can think it we can print it." 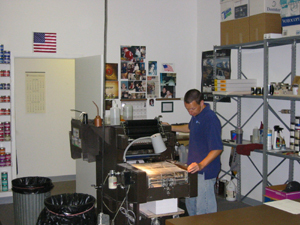 Bindery- We can create booklets on our high speed copiers. Also have the capability to GBC bind, perfect bind, spiral bind, and Wire-O bind books. We can also create notepads and carbonless forms. 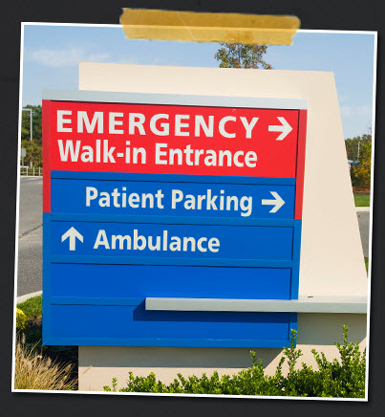 Universal Signs is a custom sign and production company in the Baltimore and greater-Washington, D.C. area. Offering design services for a wide variety of signage options, we can create anything to literally put your name out there. 1-4 Color Printing- Prepare the artwork for up to 4-color 2-sided pieces. Examples include brochures, flyers, postcards, and other marketing pieces. Specialty Items- We can create artwork for and provide promotional items, such as, pens, t-shirts(embroidered or silkscreen), labels, decals, and more. You can learn much more about our printing services for businesses at our web site. Serving Montgomery Co, MD and the Greater Baltimore & Washington, DC area, located in Silver Spring, Maryland. "I have dealt with the staff of Universal Printing for 3 location moves and their quality and consistency has never let me down - especially for the 'last minute' orders." "Your company gives us excellent service. You always print and mail out our newsletter within 1-3 days of submission and you do a great job! It is a pleasure working with you." WE MAKE SIGNS TOO! GET MORE INFORMATION NOW.